The Listen Tech Intelligent Ear Phone/Neck Loop Lanyard LA-430 is an integrated neck loop that incorporates an advanced DSP loop driver for an improved listening experience for people who have hearing aids and cochlear implants with telecoils. It is capable of providing the proper field strength and a flat frequency response according to IEC60118-4 from the neck to the listening plane of the hearing aid. The AGC circuit optimizes speech with a dynamic range of 36 dB to enable a wide range of signal levels. 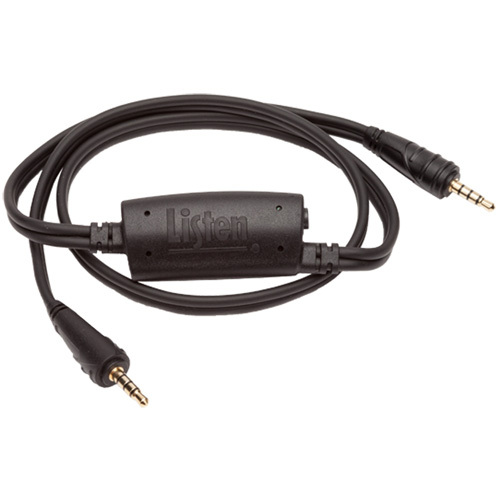 The integrated 3.5mm earphone jack on one side provides connection to Listen's universal earphones for use as a lanyard. The LA-430 easily slips over the head to be worn around the neck and features an easy quick release for safety.